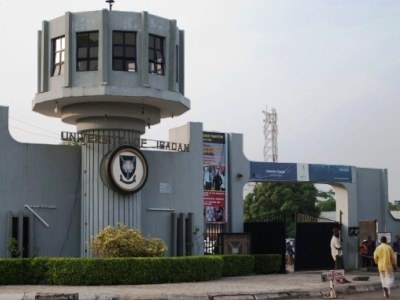 A total of 201 students have made First Class Honours from the University Of Ibadan among the 7,577 students that bagged their first degrees in the institution this year. The University of Ibadan hosted its congregation for the award of certificates, diplomas, and admission into first degree on Monday, October 12, at the International Conference Centre of the university. Professor Idowu Olayinka, Vice Chancellor of the institution disclosed that a total of 201 students made First Class Honours among the 7,577 students that bagged their first degrees in the institution this year. He stated that the convocation for the undergraduates was grouped into two, as students in seven faculties graduated on Monday and candidates in the remaining faculties will be admitted into the first degrees. Miss Grace Oka Agi, from Faculty of Public Health, emerged as best graduating student. According to the VC, a total of 1,735 students made Second Class Upper Division, and 4,366 students graduated with Second Class Lower Division. Also, 834 students made third class and 69 students graduated with a pass. A total of 372 students were grouped as unclassified. Based on departments, 37 students made first class in the Faculty of Science, 34 in Distance Learning Centre, 19 students in the Faculty of Arts, four in Medicine, eight in Agriculture and Forestry, one in Social Sciences, seven in Education, 33 in affiliated institutions, 37 in Technology, and 21 in the Faculty of Law. Idowu urged the graduates "to regard University of Ibadan as a springboard as well as a call to greater challenges and aspirations in life”. “There is no doubt that you will face challenges that will task your entrepreneurial spirit of never giving up. Do not allow any problem to overwhelm you as I pray to God to always be with you and guide your steps to success in life." In the keynote address delivered by Prof Oluwafunmilayo Olopade, of University of Chicago, United States of America, she emphasised the importance of girl child education. "I want more men to be there for women. You should be wonderful partners to your wives and support the career aspiration of your daughters. "Don't focus hard on getting your super intelligent daughter married off to 'any' man standing because you want them to have the 'MRS' degree more than anything else. Every child counts and daughters too deserve to be educated,” she said.